During Men’s Health Week, a key tactic was to get out into the real world and engage with men in different communities. Jade Bentley explains why. When it comes to campaigning and outreach initiatives, many charities will take to social media and online news as a first priority in order to increase exposure and spread their messaging far and wide: YouTube stunts, Facebook posting/competitions and even reaching out to the media to gain TV interviews or mentions in the paper. And, while your ‘30 seconds of fame’ may gain you short-term exposure and increased ROI and website traffic, a lot can be said for traditional and “feet to pavement” campaigning. 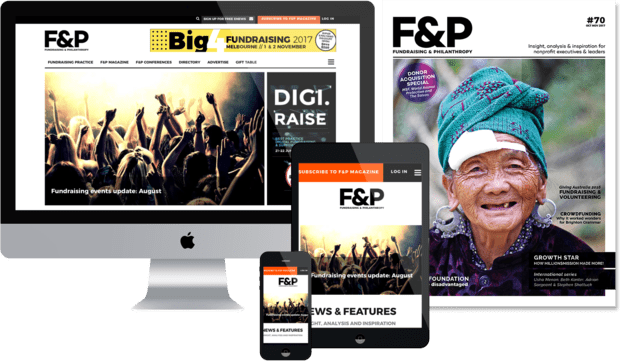 More often than not, it’s the face-to-face engagement and real-time brand activation tactics that solidify the effect and bring home the best result – especially when it comes to not-for-profit organisations and government-supported initiatives. Take Men’s Health Week for instance. They have partnered with Andrology Australia in their most recent campaign to encourage and normalise the discussion of men’s health and wellbeing. While they have been splashed across nationally recognised publications and news outlets, their key tactics have been about hitting the pavement and engaging with different towns and communities on the issue. Specifically, they have been focused on educational outreach where they visit regional towns, predominantly populated by blue-collar workers, to engage with them on the topics of men’s health. These communities not only have less access points and health clinics but are overrun with the stigma that rural workers are “tough and rough”, both mentally and physically. When in fact, health issues impact men of all cultural and work class backgrounds, equally. The only difference is men in rural communities don’t have the same access to helplines, health services, and support groups that you often see in the cities. They are less likely to read national publications and big headline papers, therefore the tactics used to engage with these groups are not the same. Simon von Saldern, CEO, Andrology Australia says it is healthy to talk and important to remind men in the community, whether that’s regional or metro, that they are not alone. Despite the fast pace of our digitised world and online media, taking the time to connect directly and in real-time with your target audiences makes good sense for most charities, Andrology Australia being just one that has taken their campaign literally to the streets.